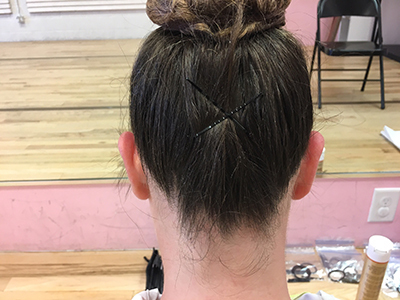 The ballet bun is a very important part of ballet – it is much more than “just a bun.” Read why. 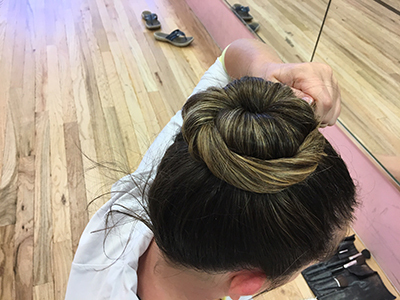 That is why it is important the ballet bun is done right. 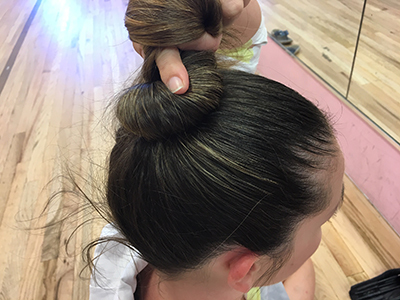 Here’s a tutorial from Charleston Dance Center’s Ballet Mistress to help everyone master the ballet bun. Did you know that Ms. Andrea sells these kits for less than $1? She has them with her all the time just in case a dancer forgets something. 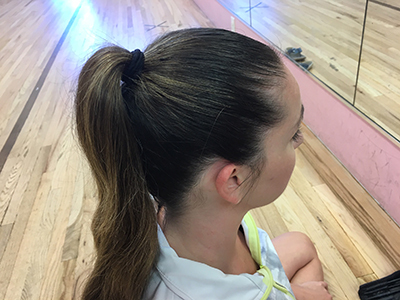 Make sure the pony tail is tight, that way your hair pins will also be tight. Do a light spray of hair spray before starting the bun. 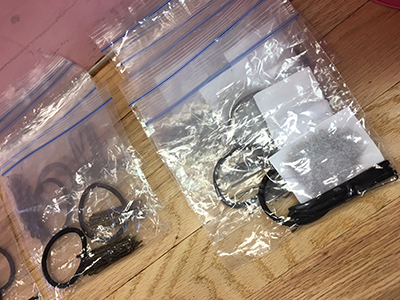 TIP: For thick hair, wrap two hair ties at once for a better hold. 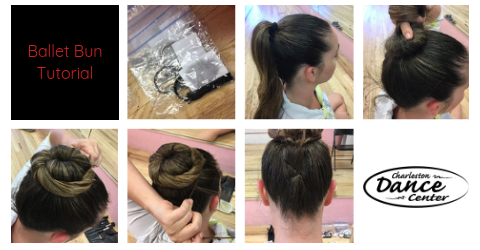 Pin the hair as you wrap it around the bun – do not wrap all the hair, then start pinning. That creates a doorknob bun, which is BAD. 4. 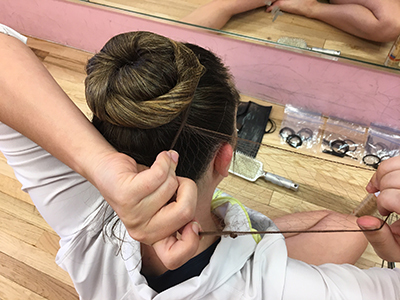 Push the hairpin out from the center of the bun, grab some hair then push back under the bun toward the center of the bun. When you push the hairpin straight into the hair, it opens up the hairpin and it pops right back out. Pin the hair all the way around the bun. TIP: When you get to a “second layer” of the bun, do not push the new layer under the first, keep it outside (to prevent the doorknob bun). Tuck the ends into the bun and pin under the bun. Yes, the hair nets look like lunch lady hair nets! Open up the hairnet and put it around the bun. Pull the net to one side, twist, and wrap the bun again. Take the remainder of the net and pin it in with the rest of your hair. TIP: Take the hair pins OUT of the bun first to avoid getting holes in the hair net. If you have wispies around the front, try using water and a comb. If that doesn’t work, use an eyebrow brush.